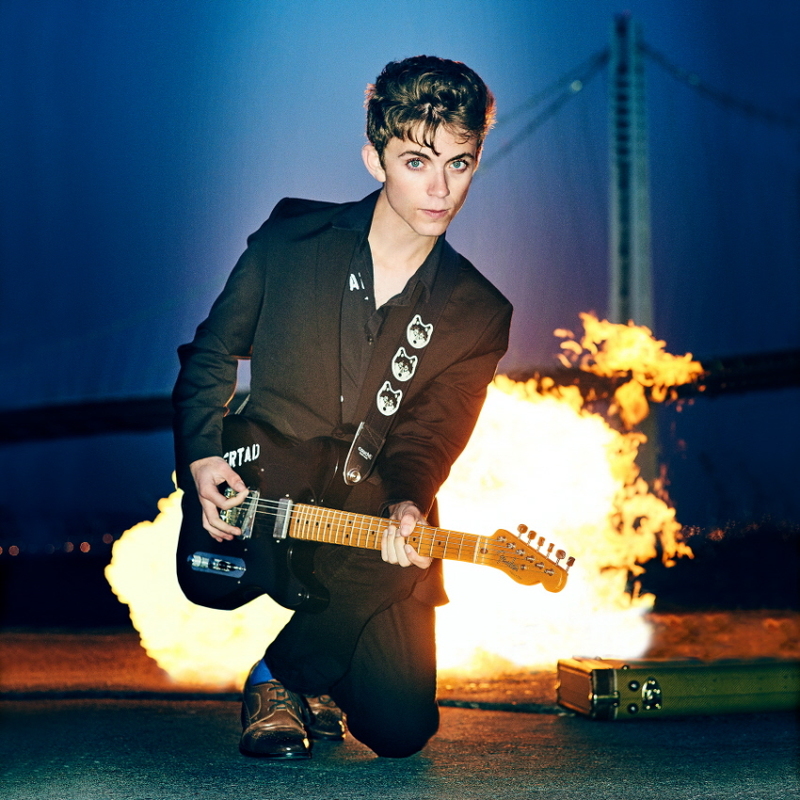 Hot off the heels of his Blast Off EP, San Francisco-based Matt Jaffe returns with a full-length collection of molten-tinged rock and roll. On his debut release, Jaffe was barely out of his teens yet brought a rich and studied new-wave energy to the table that reached way beyond his years. 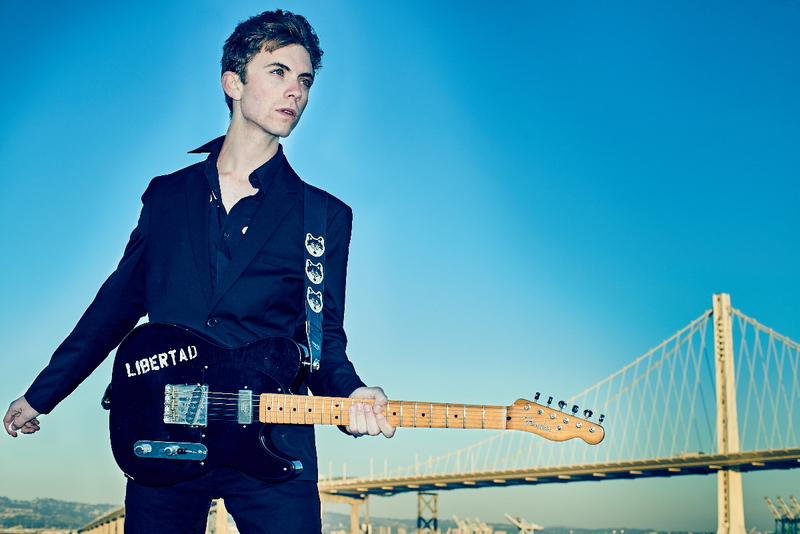 With California’s Burning, the 22-year-old Fender axeslinger/singer-songwriter returns with a brand new autobiographically-inspired concept and vision. As the story goes, Jaffe attended college on the East Coast, and, after being away for an extended period and then returning home, he took notice of the differences between the two coasts. There is obviously a rich and storied history of California—from its depictions in movies to topography and colorful characters—that all play a part in the narrative of his latest project. Right out of the gate, your ears are under pleasant assault from the heavily syncopated “Love is Just a Drug.” Its catchy riffs, hooks and harmonies envelop your senses and may even get you up on the dance floor as well. “Wander No More” continues in an up-tempo manner, with a barnburner of a tune. This has an urgent Robert Gordon-meets-Blasters feel that features great guitarwork between Jaffe and fellow Distraction Adam Nash. “Fire on the Freeway” is kind of a country/blues mesh where you can feel the scorching heat from the leader’s Telecaster attack. Jaffe sings of “burning across the western plain” rife with rockabilly passion and paranoid imagery. “Hellhounds of Alcatraz” displays a lot of fancy lead playing augmented by very vivid and cinematic lyrics and propulsive grooves. Each track seems to play like a mini-novella in a way, and this tune seems to dabble in mystery, intrigue and Hitchcock-like suspense. In Jaffe’s own words, “ We wanted to make a record that sounds like the records we like; one that sounds like the music that turns us on, with buzzsaw guitars and whiplash drums. Dials at eleven. Forget the polish and forget the shine. Nothing between us and your ears. California’s Burning, so come and join us right here in the hot seat.” Kind of sums it up, doesn’t it!? 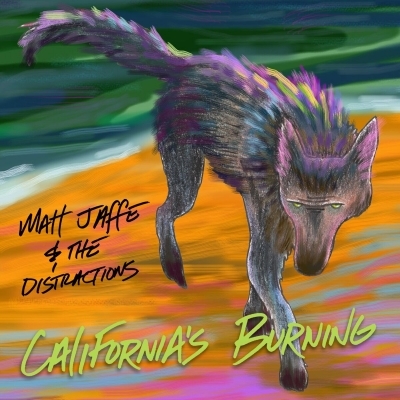 This entry was posted in Album Reviews and tagged Album Review, Eric Harabadian, Matt Jaffe & the Distractions. Bookmark the permalink.